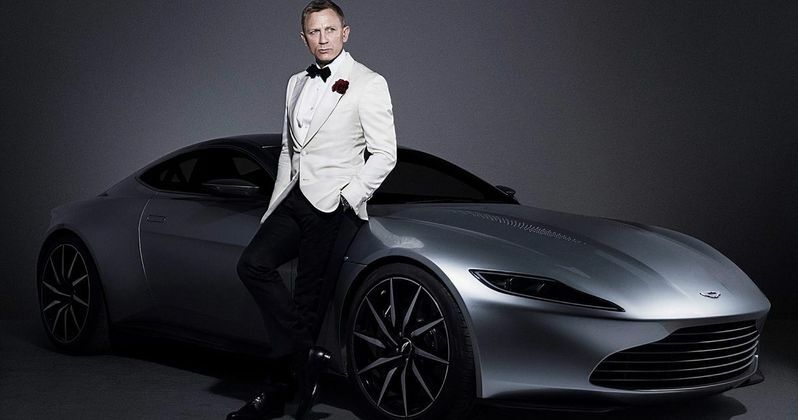 Daniel Craig Scores Huge $25M Payday for James Bond 25? Daniel Craig is reportedly being paid $25 million for his services on James Bond 25. While there are a great many of uncertainties in regards to the upcoming entry in the long-running franchise, it's certain that the actor is going to be taking home a massive paycheck for his final go as the iconic MI6 spy. This also makes him the highest-paid actor for a single movie in Hollywood right now, according to a new report that reveals what actors and actresses are commanding for their biggest movies. The age of the movie star is largely dead, as moviegoers are much more concerned with franchises they care about and quality movies, as opposed to turning up to see a particular star. In the case of James Bond 25, that changes a lot. Daniel Craig's 007 is truly beloved and people want to see him go out on top. Not only that, but the actor famously said he would rather slash his wrists rather than do another Bond movie after Spectre. So the studio is having to put up some major money, to the tune of $25 million, in order to get him back for a fifth and final movie. Beyond the fact that Daniel Craig will be back and that he's getting a ton of money, James Bond 25, in many ways, remains a mystery. Following a lengthy director's search while Neal Purvis and Robert Wade, who have worked on the last six movies in the franchise, wrote the screenplay, Danny Boyle (Slumdog Millionaire) emerged seemingly out of nowhere with a pitch and now looks as though he will be directing the movie. John Hodge, who worked with Boyle on Trainspotting, is hammering out the script based on Boyle's idea. Assuming the producers like the script, then they're going to head in that direction with James Bond 25, but there are no story details currently available. Not only that, but any previous rumors may need to be disregarded since an entirely new screenplay is in the works. Circling back to the pay specifically, Daniel Craig will be making even more than Dwayne Johnson will for his next movie Red Notice, which was recently subject to a major bidding war. That resulted in Johnson getting a $22 million payday, according to this new report. Vin Diesel also reportedly received $20 million for his work on The Fate of the Furious. The highest-paid actresses right now are Anne Hathaway, who is looking at $15 million for the Barbie movie, with Jennifer Lawrence also making $15 million for her work on Red Sparrow. MGM currently controls the rights to the James Bond franchise and might be looking to sell their company to a larger studio, with Sony said to be the frontrunner. The Bond rights are being used as bait in the potential sale, which is possibly why we haven't heard much of anything official from MGM yet about James Bond 25. Whatever ends up happening, Daniel Craig will be adding a few commas to the total in his bank account when it's all over with. James Bond 25 is currently set to arrive in theaters on November 8, 2019. This news comes to us courtesy of Variety.